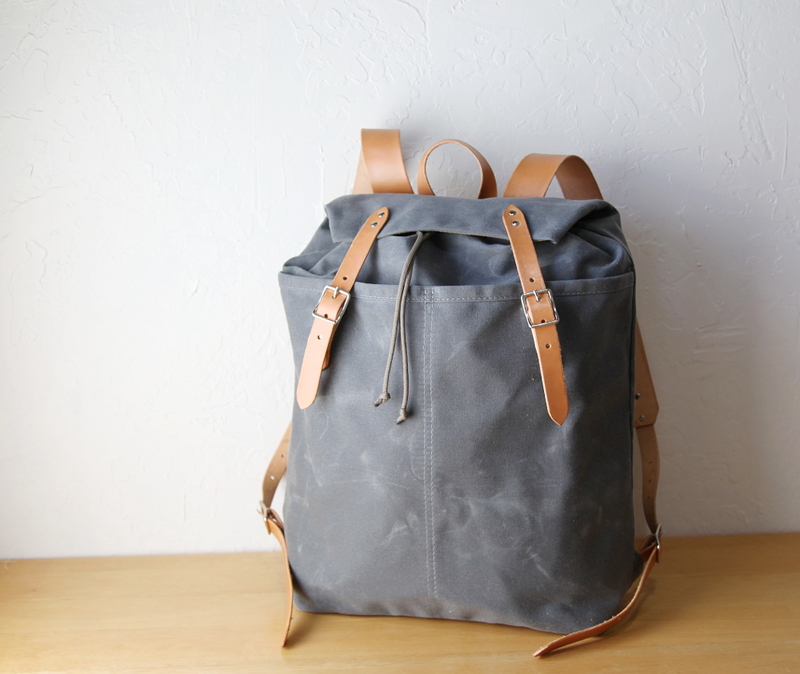 The Day Pack is now available in Stone Waxed Canvas. 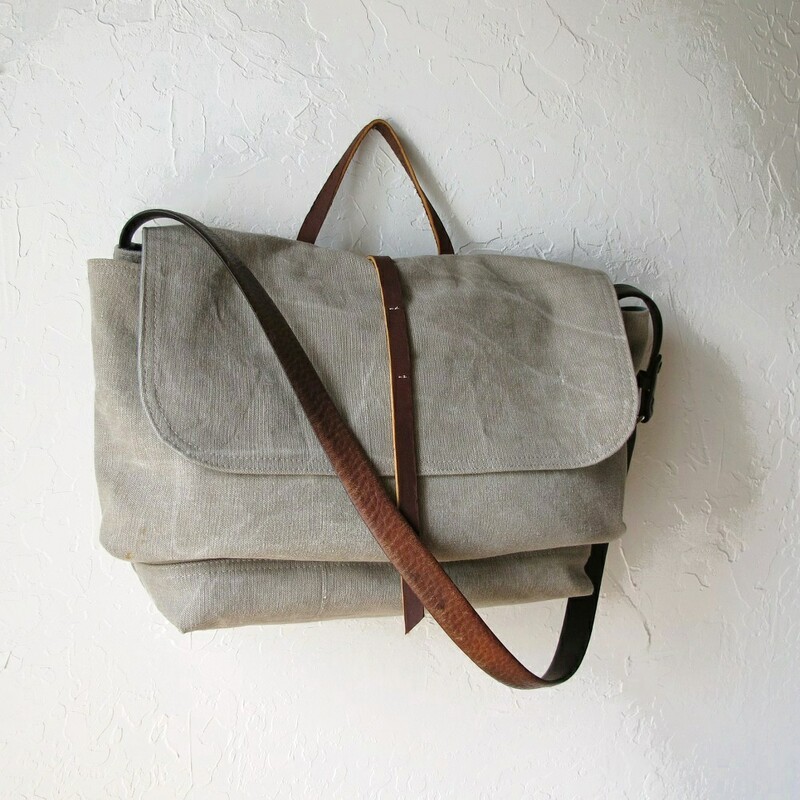 Slate and Saddle Brown waxed canvas is also available, on request (example of slate here and saddle brown here). 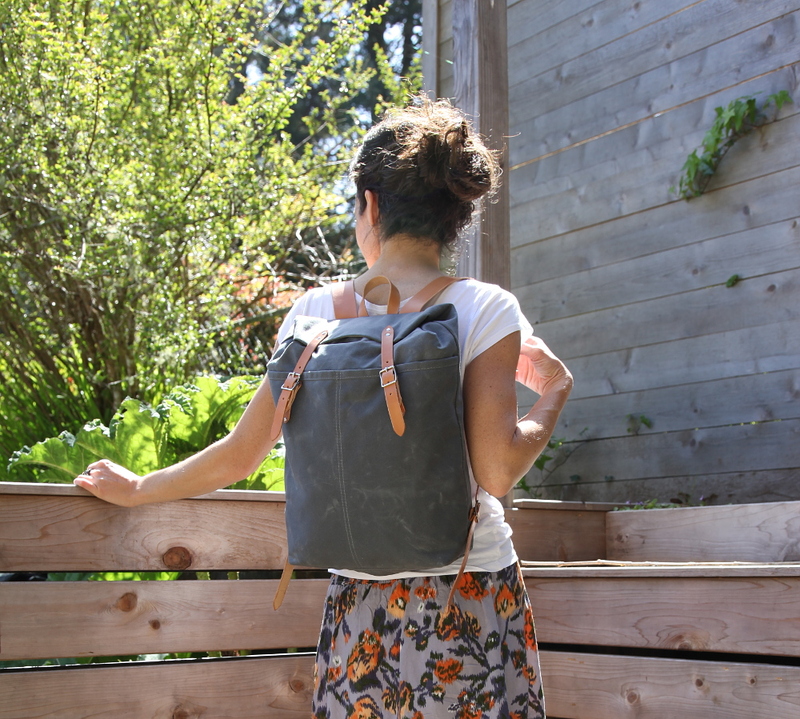 There’s a new Day Pack in the shop with a couple new features, in a new gray canvas – really soft, and of course very sturdy, and lined with certified organic cotton canvas. 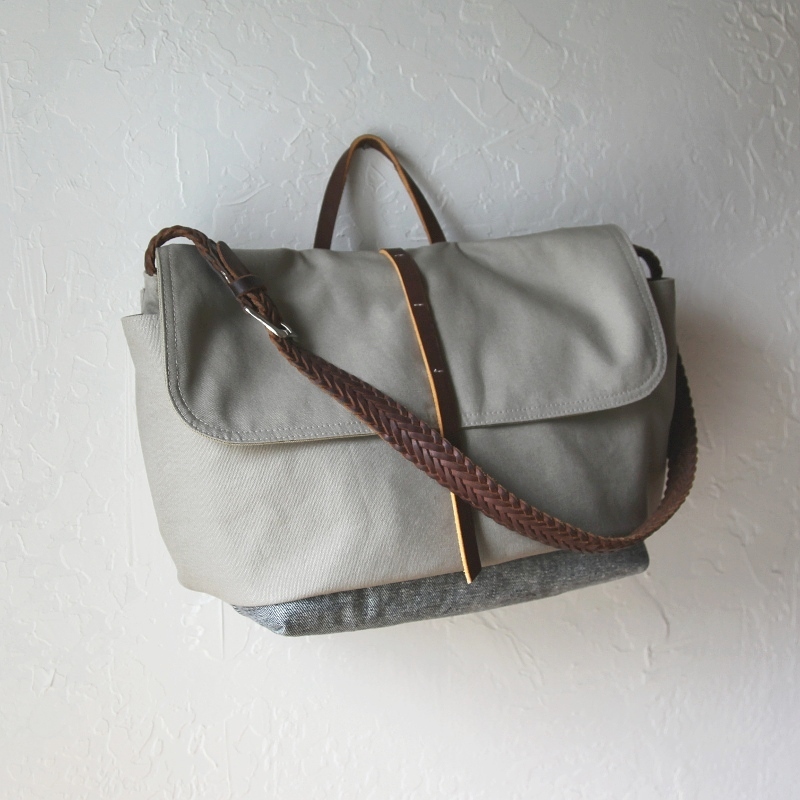 Also, just a little heads up that if anyone has been eying the herringbone tote, this will be the last one available. This is a vintage fabric, which I had only a limited supply of. Thank you so much for all the amazing and thoughtful suggestions for eating well on the run. You girls are the best! This one has just been added to the shop. I am really enjoying making these. 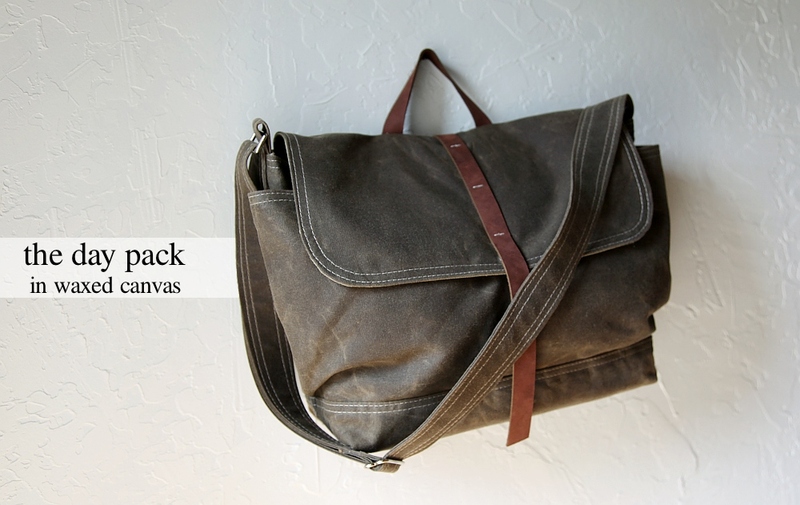 A comfortable, wear-anywhere bag with enough space for quite a lot, but not too much. That pouch pocket on the front there holds a lot. 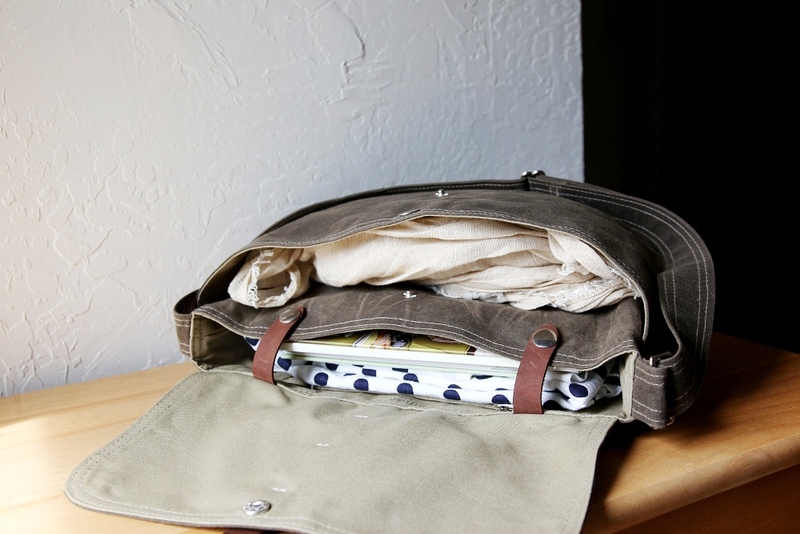 I tend to be a compact-sized bag person, usually carrying one that is only 9 x 7. When I need to bring more with me, like my camera and a light sweater I use one of these, but I am really liking the feel of the Day Pack. I like a cross body strap. It is peculiar how few small bags I have sewn for the shop. I need to work on that. 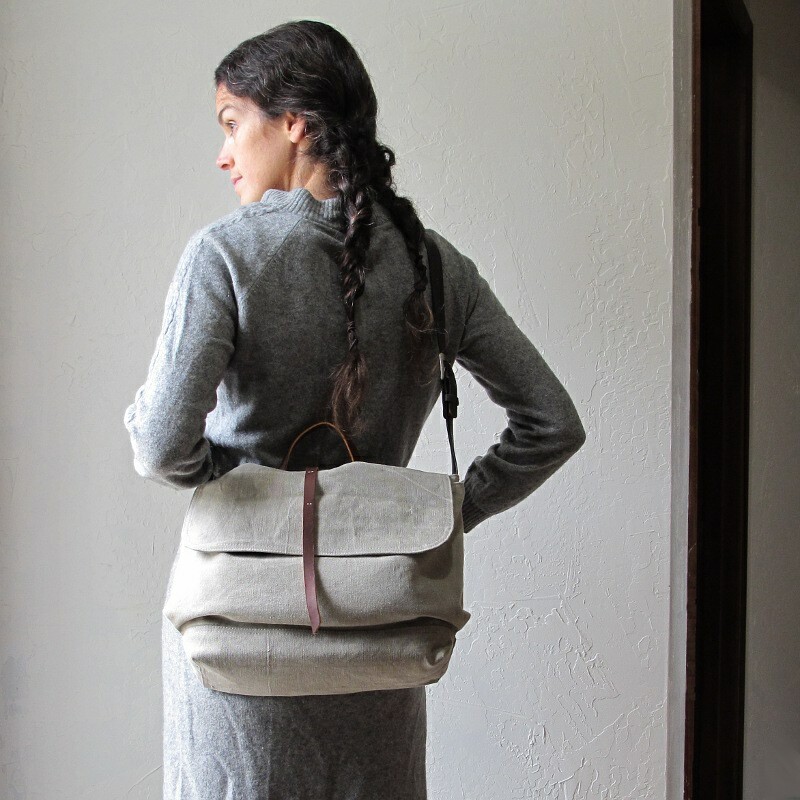 Do you carry a small bag? A large bag? Switch around to different bags? What’s your favorite, most useful type for your lifestyle?